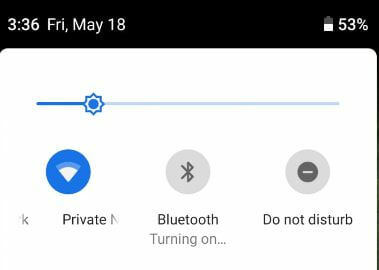 Google’s upcoming Android Pie OS added some of the new features to extend battery life such as Adaptive battery, Adaptive brightness, standby apps, battery saver and more. Let see possible solutions to improve battery life in android P 9.0. Battery life is one of the most important features of any smart phones. There are various reasons for reduce battery life such as unnecessary background processes, live wallpaper, screen time out time, brightness and more. To save battery life in android Pie 9.0, follow below given 10 different methods in your supported android Pie 9.0 devices. Let see one by one method to increase battery life in android Pie supported devices such as Google Pixel, Pixel XL, Pixel 2, Pixel 2 XL, Pixel 3, Pixel 3 XL and more. In android Pie 9.0, you can see new Adaptive brightness feature that will automatically adjust the screen brightness to environment. Also manually set adaptive brightness if you want. Turn off Wi-Fi, mobile data, GPS and other services while not use in your android or other devices. Mobile data reduce more battery power compare to Wi-Fi network. Live wallpaper consuming more battery compare to other wallpaper. You can set dark wallpaper in android P 9.0 to save maximum battery life. Also change android P wallpaper using below settings. 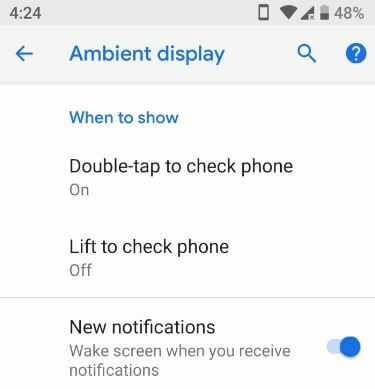 While turned on ambient display in your android devices, your phone screen wake up whenever receives any notifications. It will consume battery in your devices. 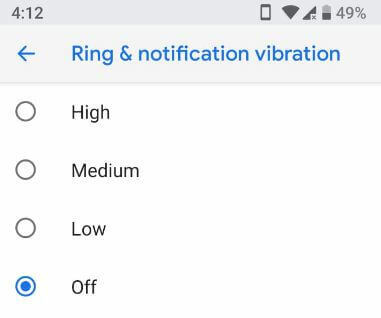 Turn off ring & notifications vibration and other touch vibration in your android P devices. You can disable sounds and vibration in android P using below settings also. There are several apps we open and suddenly close them. Those entire apps are running in background and reduce battery life of your devices. So close all recent apps in your device. Swipe screen right side to view recent apps list. You can’t close all apps at same time in your android P devices. So individually close apps from list. Be default turn on auto sync data in your android devices. It will sync each account data manually to get latest updates. So it will usage more battery and conserves data in your devices. 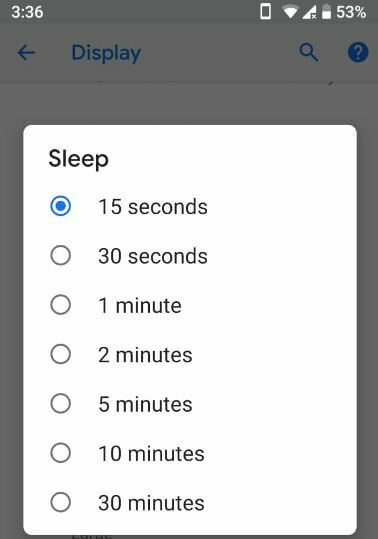 To extend battery life in android P, turn off automatically data. 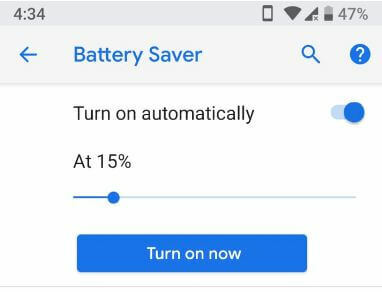 You can turn on automatically battery saver in android P 9.0 devices to extend your battery life. Battery saver restricts apps and disable unnecessary functions in your device. Android P also added new battery improvement feature called Adaptive battery. This android P adaptive battery feature limit battery of apps that you don’t use. Several apps can use battery in background in your android devices. To save battery, stop app using battery in background. We already discussed about restrict apps in android P devices. And that’s all. End the list of possible solutions to improve battery life in android P 9.0. If you know any other ways to extend battery life in android 9.0 Pie, share with us in below comment box.